I don’t know why I came so late to the discovery of vinegar. It is a most amazing product and now we go through so much more of it than ever before. One of the things we love is our Dirylite ‘gold’ silverware. It was a treasured possession of my parents and one that my aunt now in California had as well. Originally made in Sweden, my mother proudly received a service for eight from her mother-in-law, Anna Koerner. She had seen it in the window of a jewelry store in Cleveland, Ohio. The issue with dirylite is that it tarnishes and its usually bright gold appearance is lessened. Polishing it is time consuming and not always easy. I added to the service when I realized that a couple pieces were missing and now, thanks to eBay, we have enough for the entire family and even have dirylite candlesticks. This brings us to vinegar. I soon realized that although copper cleaner does work somewhat on cleaning dirylite, it is not the greatest. I also noticed that if we clean the dirylite quickly and dry it as well, that it fares better. The grandkids love to use it and often, when helping to set the table, love to grab it from the drawer of the dining room hutch. 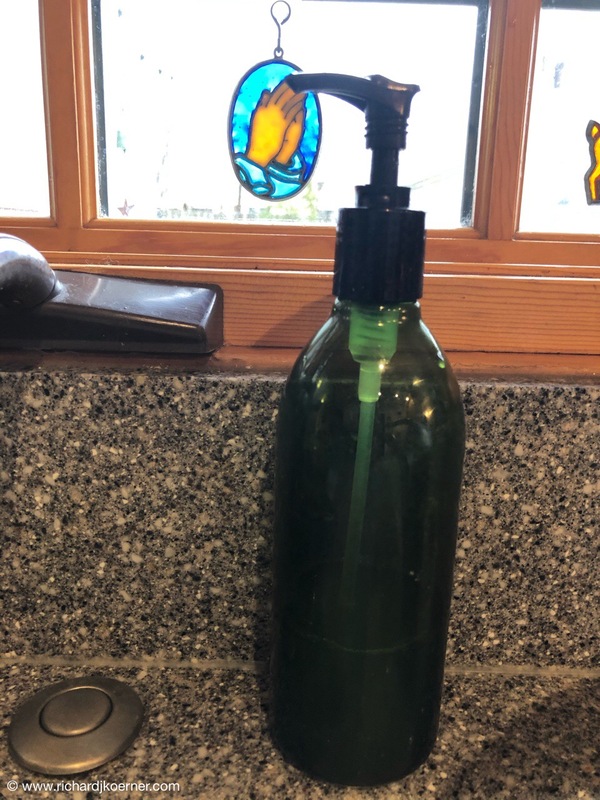 I now keep a bottle of vinegar with some Dawn dishwashing liquid on the counter for cleanup and for a quick job on copper, the acidic vinegar works well with some salt on the copper. In a pinch, I often even use lemon or lime. I found that it works equally well on the dirylite. This has made it easier to use the dirylite and keep it clean. A stubborn stain? I add some salt, which acts as an abrasive but doesn’t scratch. Simple, easy, and found on the kitchen counter, this is a winning situation. This entry was posted in Life in general, Thoughts and philosophy, Vinegar. Bookmark the permalink.